Sgt. Roy A. 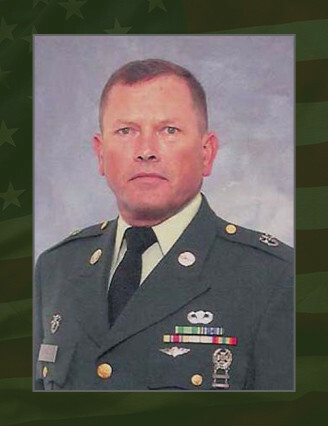 Wood, 47, a resident of Alva, Fla., was a member of 20th Special Forces Group (Airborne). He served as the medical sergeant on Operational Detachment-A 2092, Company C, 3rd Battalion. In civilian life, he worked as an emergency physician at Lee Memorial Hospital in Fort Myers, Fla.
A 24-year Army Reservist and National Guardsman, he received a commission as a second lieutenant in 1979 and was assigned to the Army Reserve’s 421st Quartermaster Company in Fort Valley, Ga. In January 1982, Wood joined the U.S. Army Special Forces. His first SF assignment was to the Army Reserve’s 11th Special Forces Group (Airborne) at Fort Meade, Md., where he served in the 3rd Battalion’s Company A as the detachment executive officer for Operational Detachment-A 1175. In May 1983, Wood became detachment commander for ODA 1175. Over the next 12 years he served in a variety of positions at the 11th SFG (A), to include, company logistics officer, operations officer and support company commander. In 1996, after 2 years on inactive Individual Ready Reserve status, he was assigned as an individual mobilization augmentee to the U.S. Special Operations Command at MacDill Air Force Base, Fla., where he worked as an area analyst. In 2000, he served with the Army Reserve’s 73rd Field Hospital in St. Petersburg, Fla., before switching to the National Guard in December 2001 and was assigned to 3rd Bn., 20th SFG. There, he served for a year as the battalion surgeon. In December 2002, Maj. Wood resigned his commission to become a medical sergeant on ODA 2092. His awards and decorations include the Army Commendation Medal, the Army Achievement Medal, the Army Reserve Achievement Medal with silver hourglass device, the National Defense Service Medal, the Army Service Ribbon, the Basic Parachutist Badge, the Parachute Rigger Badge, the Ranger Tab and the Special Forces Tab. His civilian education includes a bachelor’s degree in biology from Mercer University in Macon, Ga., and a doctor of medicine degree from the University of Miami School of Medicine in Miami, Fla. He also completed a medical internship at Miami’s Jackson Memorial Hospital, a medical residency at Atlanta’s Grady Memorial Hospital and was board certified as an emergency medicine physician by the American Board of Emergency Physicians. Wood is survived by his wife and two children.